According to some, the future of architecture is wood, but in Newark, Ohio, the future has already arrived—in the form of big, dumb picnic basket that’s also an office building no one will buy. 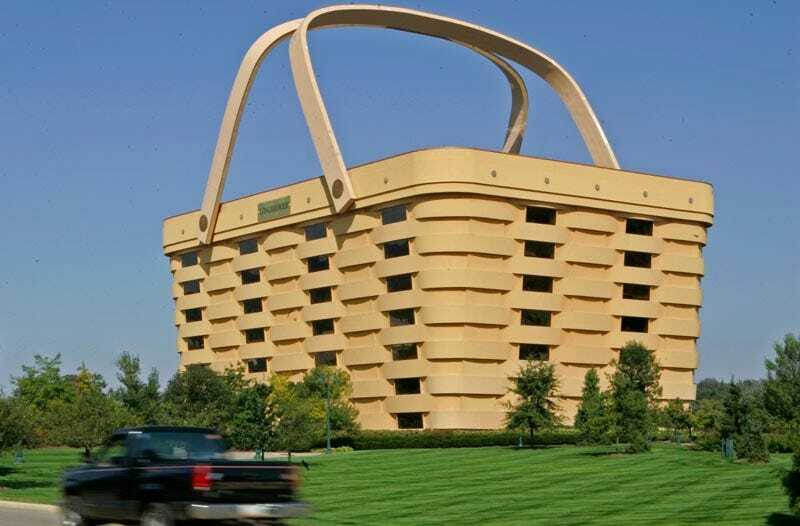 First put on the market 18 months ago for $7.5 million, the (sadly stucco-based) former headquarters of struggling basketmaker Longaberger is now available for a mere $5 million, Bloomberg reports. Despite the steal of a price, however, listing agent Michael Guagenti says he’s had trouble selling the building, for some reason. After months of wrangling with architects who had created designs that were merely suggestive of a basket, the colorful, quotable [founder Dave] Longaberger stormed out of a meeting, grabbed one of the company’s medium-sized baskets, came back in, put it on the conference room table and said, “Make it look exactly like that,” said Brenton Baker, director of communications and special initiatives and a longtime employee.